The Copenhangen-based record digger and producer Ziggy Phunk so perfectly captures the essense of the 1980s in this retro disco specimen. Glistening FM synthesizers matched with raw analog bass over a danceable beat and of course the soulful, "Whispers in the night," vocal melody. The music reminds me of watching the start of an 80s movie on VHS cassette with skyline shots and people stuck in afternoon gridlock. Street scenes showing people in rollerskates, neon shirts and headbands. This song is basically a time machine. Best part is there's more to come! 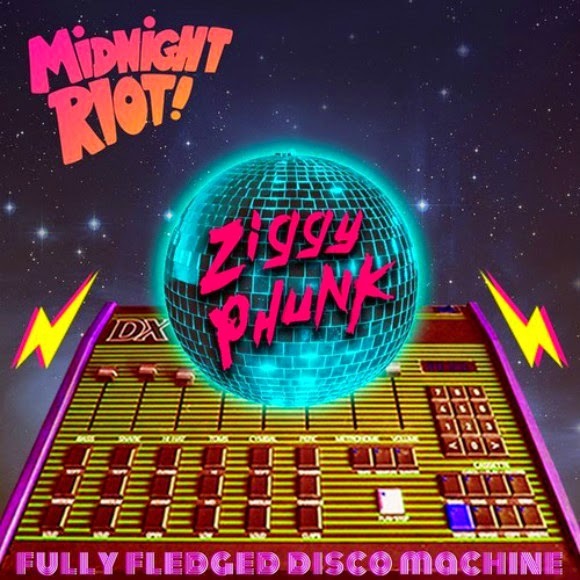 This is from Ziggy Phunk's forthcoming EP "Fully Fledged Disco Machine" on the London-based record label Midnight Riot. The album should be out "soon."